This is one of very serious diseases that affect lungs, and as its name suggests, beryllium is closely related to it. The fact is that breathing in the powder, dust or fumes that contain this element is what is very likely to cause this disease, which will further provoke the inflammation and very often scarring. 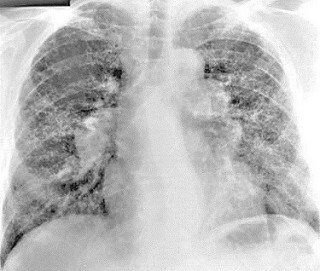 This is why people who work with the materials that contain beryllium are particularly susceptible and at risk of developing this serious lung disease. Depending on the case, chronic beryllium disease can develop very soon after being exposed to this element, although it can also develop years, or sometimes even decades later. There is no rule, but according to the statistics, it tends to develop after the period of 8 to 10 years, and the most severe cases result in cancer and death. When it comes to the symptoms that can serve as indicators of the presence of chronic beryllium disease, some of the most common are fever, sweating at night, loss of appetite and weight, and cough and shortness of breath, which is particularly present when walking, climbing the stairs or doing some other physically exerting activity. This symptom in particular will aggravate as the disease progresses, and the pain in the chest might appear as well. Due to the fact that the symptoms are not that unique and that they can indicate a number of other health conditions and diseases as well, they should only serve as a sign that the doctor should be visited. The specialist will definitely know which tests need to be done further in order to exclude certain possibilities and set the right diagnosis. For chronic beryllium disease to be diagnosed, the person in question needs to undergo diagnostic bronchoscopy, which is a special kind of testing for this lung disease. However, once it is diagnosed, the fact is that there is no way in which it can be cured. Some medications might help with some symptoms to a certain extent, but generally, it is important to monitor the progression and the pace at which the disease progresses. Inhaled steroids, bronchodilators and supplemental oxygen will be successful at managing the symptoms until the disease reaches the stadium in which even these medications will not be effective anymore. The lungs will begin to lose their function, and in some cases, the transplantation of the lungs might be the only possible solution which will provide some more time. How is pulmonary heart disease treated? high hemoglobin in chronic obstructive pulmonary disease patient?